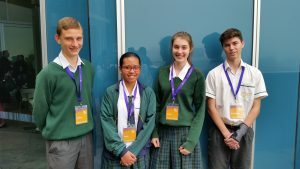 On July 19th 2016, four Year 10 students from Westside Christian College descended upon UQ’s Queensland Brain Institute to compete in the state finals of the Brain Bee Challenge. 138 students from 42 schools across Queensland were present – all finalists from their regions. Westside Christian College was well represented and the only school from the Ipswich region. The Brain Bee Challenge, now in its eleventh year, is a test of knowledge about important facts concerning intelligence, memory, emotions, sensations, movement, stress, aging, sleep, Alzheimer’s disease and stroke. Challenge. 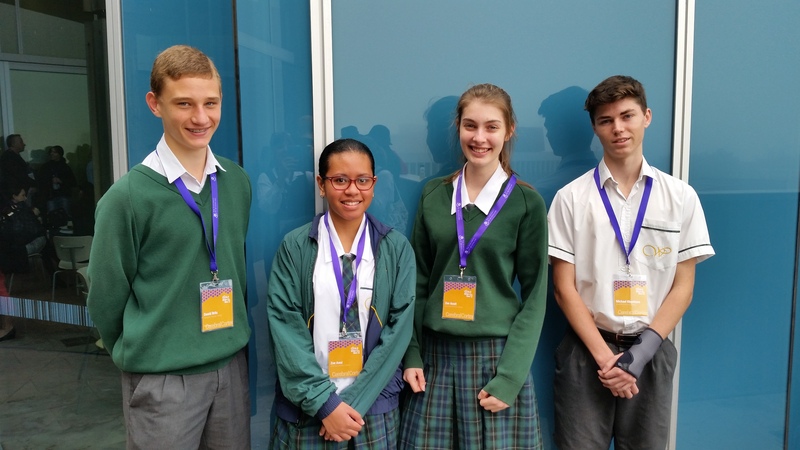 In the Team Challenge, our Year 10 students finished second overall, placing them amongst the best in the Australia-New Zealand region. Instructional Dean of Science at Westside, Nola Leverton, is humbled by their achievements “To get four students into the State Finals is big for any school. Everyone is ecstatic! In the 8 years we have been participating, this is the first time that we have been placed in either the Individual or the Team Challenge. And, in the first 2 years of our participation, it was open only to Year 11 (not only Year 10) students.” Students received a number of prizes and medals as a result of their excellent performance. The competition is designed to promote the study of neuroscience as a multidisciplinary endeavour. According to the Australian Brain Bee Challenge website, this encompasses all basic scientific disciplines including mathematics, physics, chemistry, biology, engineering, psychology, medicine and bio- and nano-technologies. The College has a strong history of performance in the competition. Heidi Walkden (Year 10 – 2009) is now studying and doing post-graduate research in Neuroscience – thanks to interest spurred on by her participation in the State Finals of the ABBC in 2009. Aidan Kleynhans, whose brother, Michael, competed this year, made it through to State Finals too in 2013. On the day of the competition, staff were given a UQ Prospectus, which features a prominent image of Kimberley Handricks (Year 10 – 2009) – a former Westside student who also participated in the ABBC. Perhaps there are great things ahead in Neuroscience for our 2016 State Finalists.